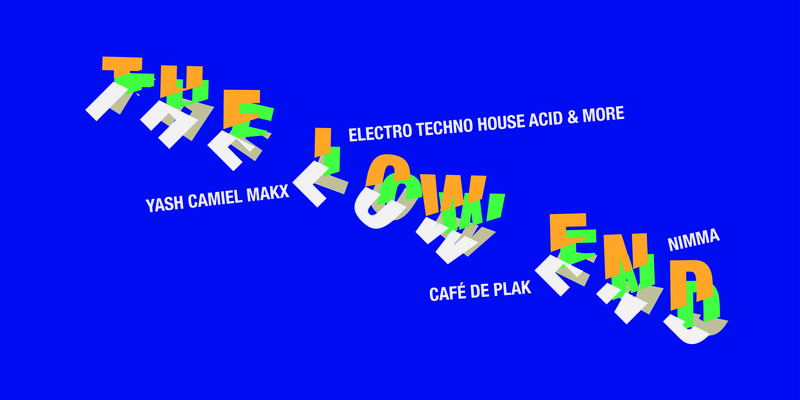 Branding and visual style for a new electronic dance night in Nijmegen organised by Camiel, Makx and Yash. As regular players on Intergalactic FM with their Shipwrec Radio show on fridays, these guys decided that a recurring club night would fit their needs for an audience and interaction with the crowd. Not that they are crowdpleasers, but they know how to get the crowd moving. 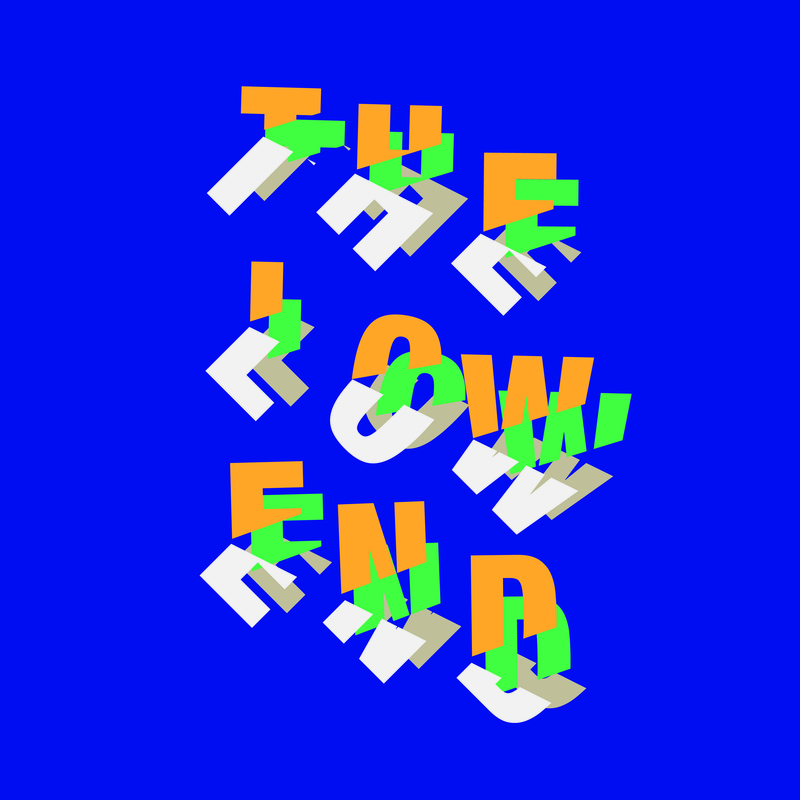 In addition to all the dance nights and organisations in Nijmegen The Low End focuses more on the left of center and experimental genres, such as electro, breakbeat and acid. But sure there are a lot of 4 to floor bass bangers in the genres of house, techno and some occasional disco classics. Conceptually I wanted to create an evolving branding that started very minimal but gets more and more character as it evolves. This also fits with the repetitiveness of the dance music played by these DJ’s, but also how a dance night evolves. Generally its not very crowded when the evening starts, but after a few hours people come trickling in. The skewed design fits the aspect of going down the basement and go outside the regular lines, both personally and musically. The typography is distorted for the reason of a playful effect (clubbing should be fun), but also refers to open character of Cafe de Plak and its visitors. 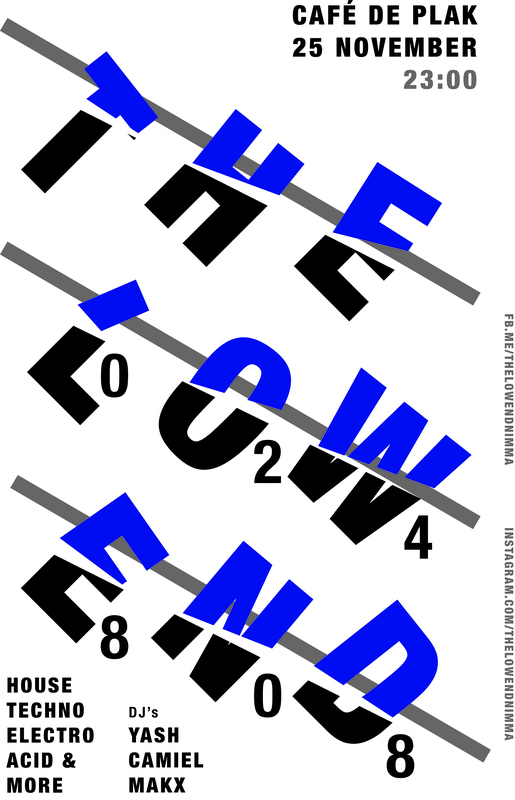 Poster for the first edition at the 25th of november 2017. Instagram communication of the first edition. Instagram communication of the second edition, taking place at the 24th of February 2018. Instagram communication of the second edition, moving gif.